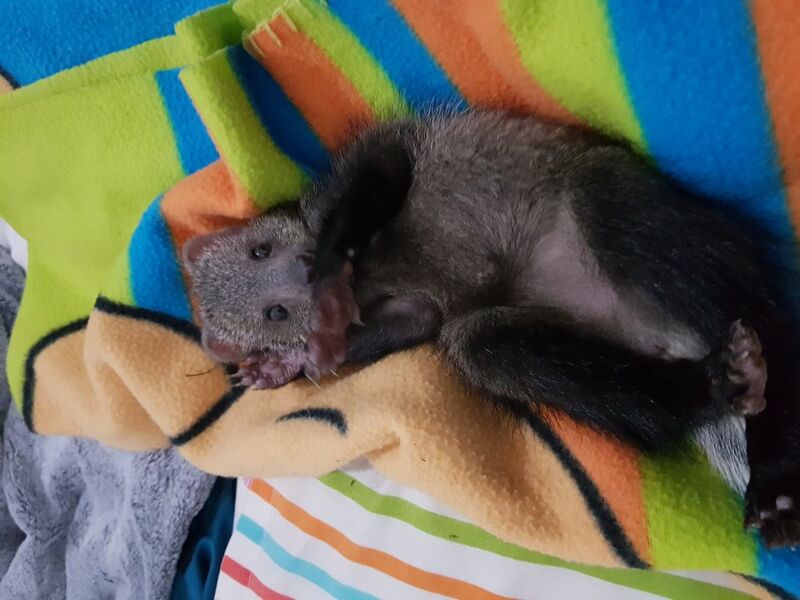 We have two new friends at HESC, Moose and Mickey, two White-Tailed Mongooses that were brought into our care within a month of each other. Moose, (a female), was the first to arrive at HESC. She was handraised from a tiny pup, by someone who had found her on her own in their plantation. Her back legs were weak, and she struggled to walk when we first got her. Moose on the day we went to fetch her. We adjusted her diet, giving her more eggs, insects, soft cat food and various other foods, as well as ensuring she had a right amount of exercise each day. Fortunately, her legs have strengthened, and she is now running around, and even playing between rocks. Mickey, a male White-Tailed Mongoose, arrived about a month after Moose. He too was being raised by people from a young pup, and they decided it would be best to bring Moose to us to try to see if we would be able to release him back into the wild eventually. 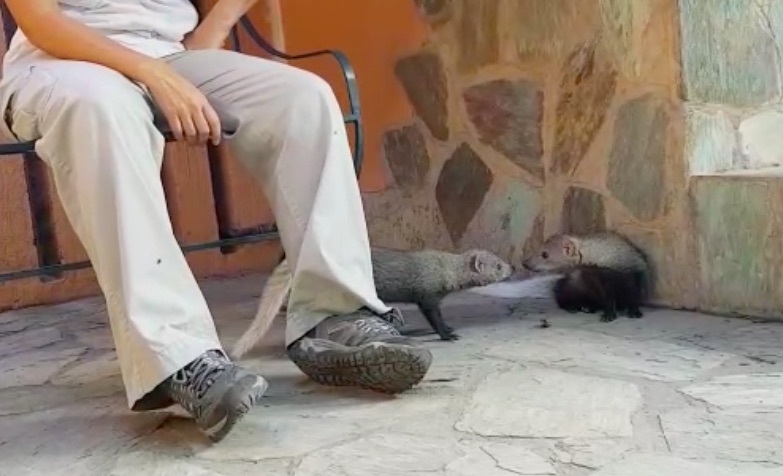 They were not aware that we had another White-Tailed Mongoose in our care, it was just fortunate timing, as now they would both have a friend in one another. When we first introduced the two to one another, Mickey was a little uncertain of Moose, having never seen another of his kind before, and growled at her. But after a few hours together, they started to let their guards down, and by the second day, they were best of friends playing well together. We will take it day by day with their rehabilitation, keeping in mind that they were both hand-raised, and are currently entirely depending on humans. Both of them are still very young and are dependent on receiving milk from us for survival. They will be weaned by the age of nine months, so when we will reassess the situation past that date, to see if we feel they would be able to survive back in the wild. We will keep you updated with their progress! Hi, we are in Hoedspruit, South Africa! That’s our Mickey Mouse Dog. Very glad to see he is doing well. Hi there, sorry we didn’t understand your comment? Was one of the mongoose yours?